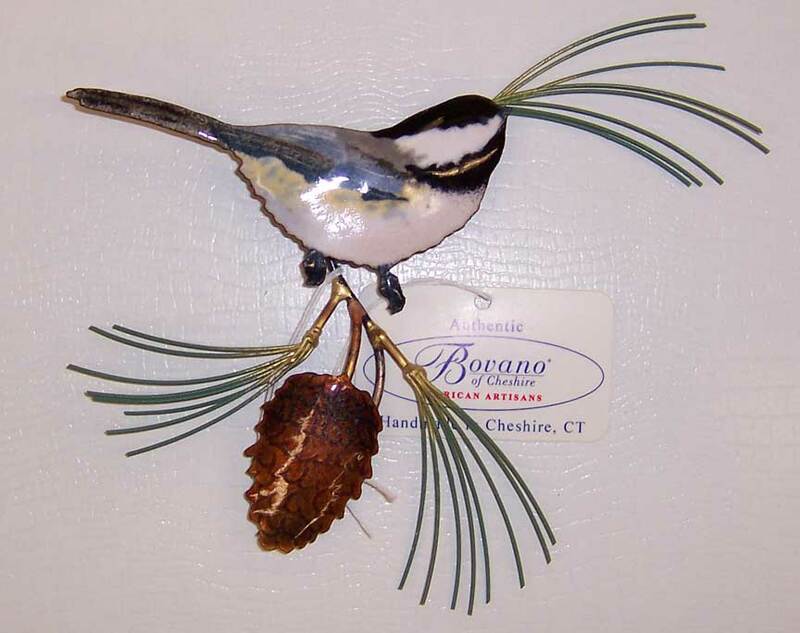 Bovano's Chickadee Things must be Looking UP! This is Bovano's Looking Up Chickadee . This piece was first introduced around 2007. It appears to be the artist's study of a chickadee's posture when hearing the hunting cry of a hawk . This piece is a true "jeweler's grade" sculpture made by hand in glass enamel. The piece was retired about 2 years ago and we have one piece available. The size is 6 1/2" tall by 7" wide.